Latte Art is a technique that is assuming a substantial role in the world of coffee and it has therefore become necessary to design quality accessories that are useful for professionals in their creative practice. 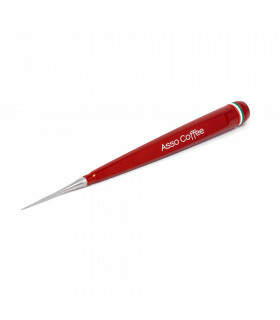 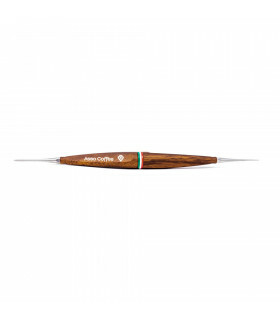 Our pens are the perfect accessory for decorating macchiato or cappuccino coffee with the etching technique; they are made of aluminum and can be with one or two exits, compatible with 5 different tips produced by us. 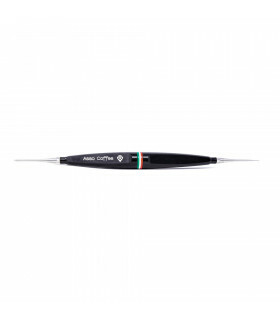 All pens have the possibility of housing the tips inside them. Once unscrewed, the tips can be inserted into the body of the pen which in turn has a unscrewable part that reveals the practical compartment. 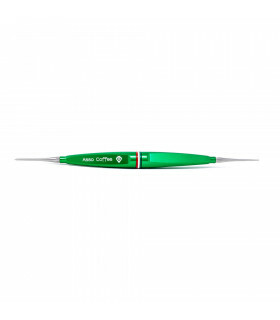 We supply the Pin with the Single Latte Art Pen.